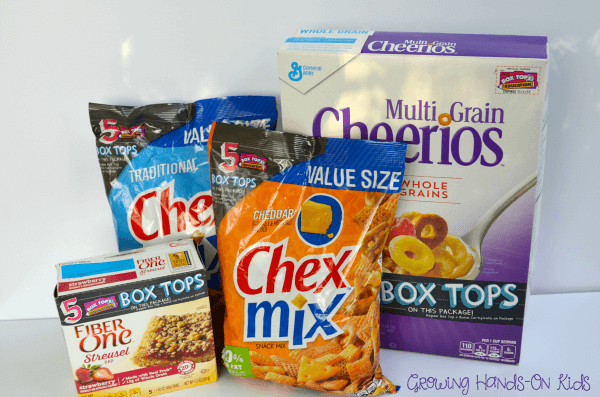 I recently shared how we visited Walmart to pick up some General Mills products to start collecting the Box Tops for Education for our local church school. Even though we plan on homeschooling, Box Tops are something we are still collect and contribute with in our home. I always like finding fun way to get Ellie involved in the process. So we recently did this fine motor Box Top drop and it doubles as a way for us to store our Box Tops once we cut them out. First, head to Wal-Mart and pick up your favorite General Mills items products the Box Tops on them. Also be sure to look for the ones with the 5 Bonus Box Tops so you can earn even more cash for your school with your purchases. I picked up some Cheerios for Ellie because those are always great for on-the-go snacks or in the morning, Chex Mix for my husband's work lunches, and some Fiber One treats for me. I used the Washi tape to decorate our box and then lined the top with the Box Tops for Education graphic that I printed off (I used 6 for this size box). I also included one on the lid so that Ellie could match the actual Box Tops to the correct container. If you have an older child who is able to help assemble this part, definitely let them do it. Cut a slit in the lid of your container so that your child can push the Box Tops through it. You don't want it to be too wide so that it gives them a challenge when pushing them through. 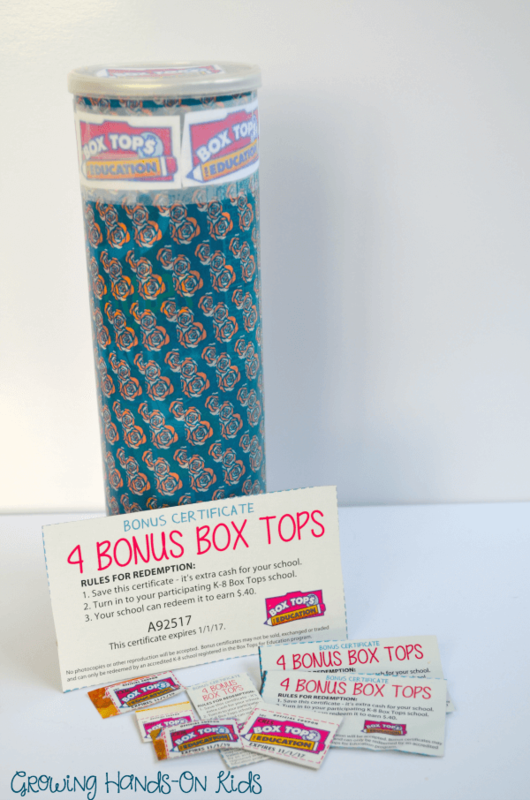 Next cut out the Box Tops (and don't forget the bonus ones!) and pile them next to your container. 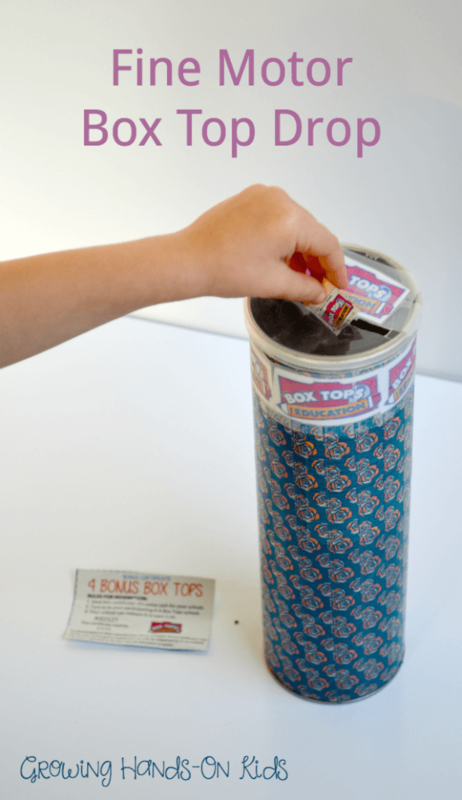 Then invite your child to come over and push the Box Tops into the top of the container through the slit in the lid. I love that this activity not only focuses on fine motor and visual motor skills for my preschooler, but it is also a fun way to get her involved in the entire Box Top saving process. Once the container is full, we will take it to our local church school and then start over. 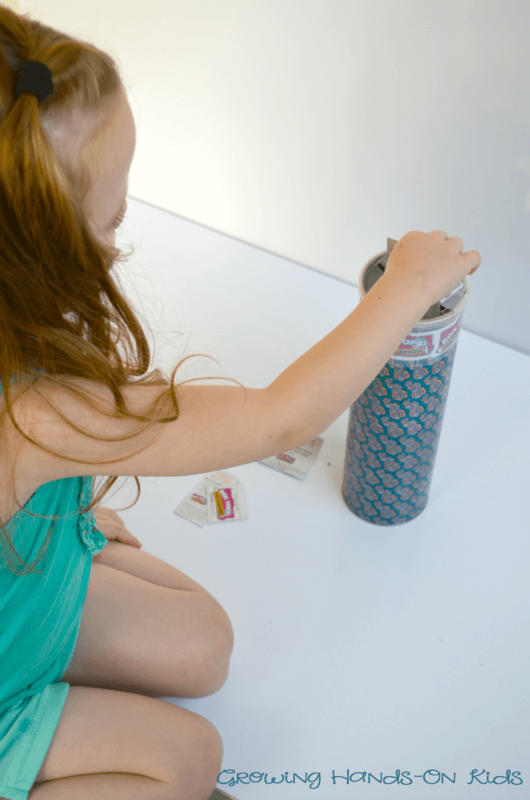 You can place this container in an area where all your kids know where it is and each time you have Box Tops to add they can drop them in and work on some great fine motor skills at the same time. Be sure to visit your local WalMart and check out the 5 Bonus Box Tops for Education on all General Mills products.